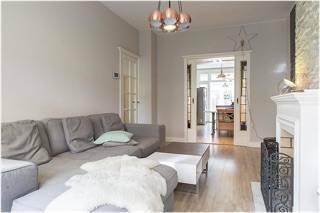 Huge Historic Home on Beautiful Canal in Exclusive Neighborhood in The Hague! 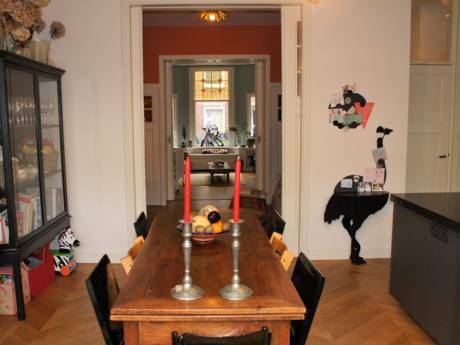 Our historic home in The Hague is on a lovely canal adjacent to the most chic area of town. 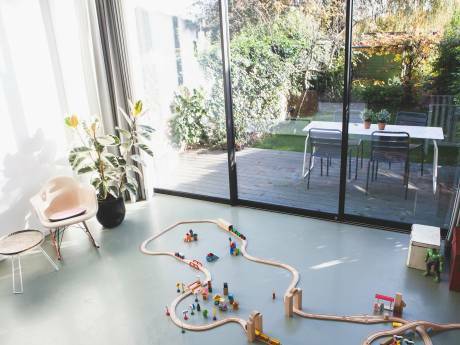 Unlike most Dutch homes, there is a large foyer on the ground floor for bikes or receiving guests, a light-filled staircase to the first floor which boasts of an antique Delft tiled kitchen, a double bathroom, two bedrooms and sitting room, all with 20 foot ceilings. The stairs lead to a large den with fireplace and, the piece de resistance, a huge Great Room with dining area, living room, bar, two-story windows, and thirty foot ceilings. The attic holds another bathroom and a charming attic bedroom with access to a balcony! We'd never leave home except our son can't get time off at Christmas! So we have to go visit him in the States! House also comes fully furnished. If you enjoy picaresque town views, great shops, amazing restaurants, museums, and the kind of bars that look as though they belong in a European movie, you'll never have to leave the neighborhood! Look up the Hotel Des Indes on Google: our house is less than half a block from that hotel! Everyone who knows us here says we found the best house in The Hague. I can't disagree! Even if you just want to sit at the window and look out over the charming canal and bridges, you'll have an unforgettable time.